Deligiannis caters to a broad clientele. Our database includes Architects, Builders, Designers, Kitchen Contractors, Construction Companies and to the general retail public. 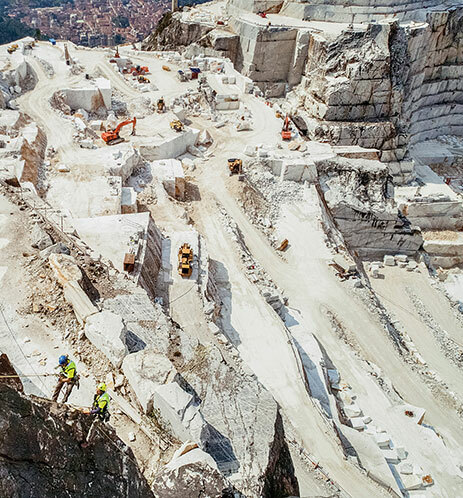 Deligiannis was founded in 1970 with the aim of supplying the best quality natural marble & stone from different parts of the world that are worth for every penny spend by its customers. Our corporate vision is to become an entrepreneurial bespoke company in our industry by fully satisfying all parties who invest in us: customers, employees, and suppliers. Deligiannis imports stones from the best quarries throughout the entire world. Very wide range of marble, granite, onyx, limestone, semi - precious stones, are shaped by the creativity of our designers. Its name is synonymous to reliability, consistency and continuity in all areas of its activity. Deligiannis imports stones from the best quarries throughout the entire world. Very wide range of marble, granite, onyx, limestone, semi – precious stones, are shaped by the creativity of the designers offering solutions that can be applied in many different sectors: residential, retail, hospitality, spas and wellness centres, showrooms, offices, public spaces, contract orders. The company developed advanced engineering techniques over the years that are able to reveal the stone in all its natural splendour, placing it at the service of the most creative minds and lovers of beauty. Deligiannis constant search for new productive solutions aims at emphasizing the ‘materials’ beauty, all in keeping up with the latest trends and concepts. At Deligiannis, We want to meet our client’s requirements and needs in a flexible and professional manner. We would welcome the opportunity to earn your trust and deliver you the best service in the industry.